Yes, Florida's Greyhound Racing Ban Means Thousands Of Dogs Will Need New Homes. But Not Right Away. Now that Florida voters have approved Amendment 13 – which effectively ends greyhound racing statewide by December 31, 2020 – thousands of dogs will need new homes. But that doesn’t mean Florida dog lovers should be running to the nearest track any time soon in hopes of adopting a greyhound overnight. For one thing, greyhound groups across the state admit that they don’t have an accurate count of exactly how many dogs will become available during the two-year phase-out of racing mandated by the amendment. WLRN's Christine DiMattei interview Joyce Carta, Vice President of Greyhound Adoptions of Florida. Greyhound adoption groups are advising potential adopters to sit tight for a while until the full picture becomes clearer. But dog lovers who have a forever home to offer a former racing dog can still get information and a head start on the whole process. Carta recommends visiting www.greyhoundadoptionactionalliance.org to find the closest greyhound adoption group. If you've been bringing Fido grocery shopping with you, sticking him in your shopping cart and passing him off as a "service animal," beware. 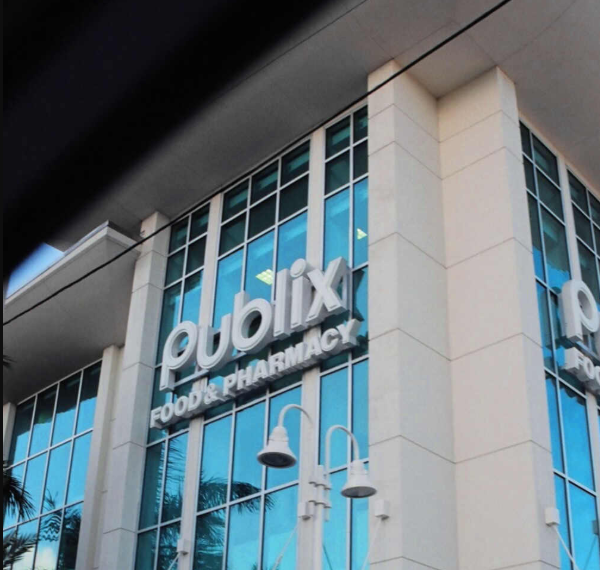 Florida grocery chain Publix is cracking down.